Jamul is a small bedroom community about 20 miles southeast of San Diego located in the hills of San Diego's East County. It is only a 30 minute drive north to San Diego’s Lindbergh Field, the Gaslamp District. Other area's close by are Rancho San Diego and Eastlake (Chula Vista). This rural community has a population of 9,000 people. Jamul Houses for Sale range from $300,000 to $2,000,000. Currently the average priced home in Jamul is $780,000 (4 bedroom, 4 baths, with over 3,600 square feet). Located near the community of Jamul (91935) is the Hollenbeck Canyon Wildlife Preserve off of Honey Springs Road. This is one of the most beautiful inland trails in the county, especially in the springtime. With its plush green grass and wildflowers, this is definitely a site to see. Between Hollenbeck canyon and the adjacent canyons and meadows, there are about 10-14 miles of trails. This preserve is about 3,200 acres and is a wildlife corridor between Otay Mountain and Jamul Mountains. 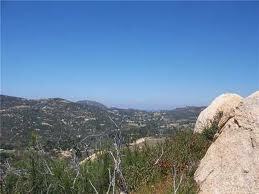 If you like the "rural life", look no further, Jamul is the place to be! Please contact me immediately if you are looking for a professional Realtor in the Jamul area who specializes in short sales, foreclosures and traditional houses for sale. Check out some of the Jamul Homes below.